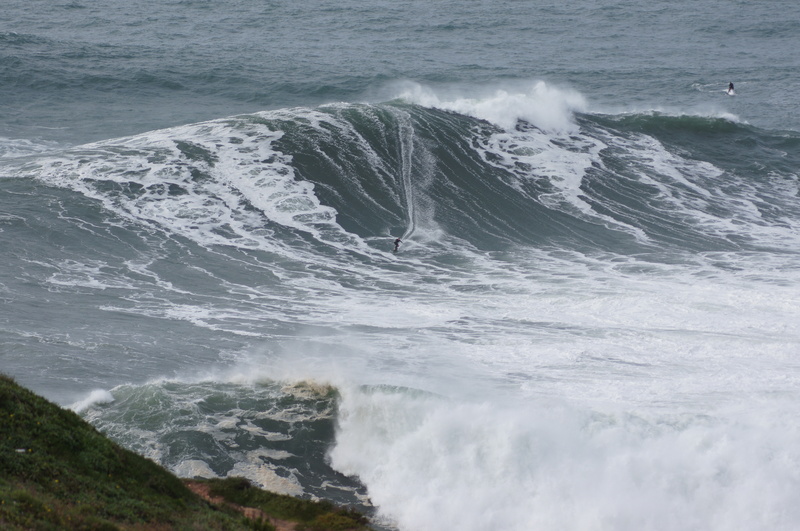 Theres a lot of big swell around here and we’ve had one eye on where we’re actually surfing, and one eye on Nazare. It was looking good and so yesterday we packed up the cars and headed North to go find the famous big wave. 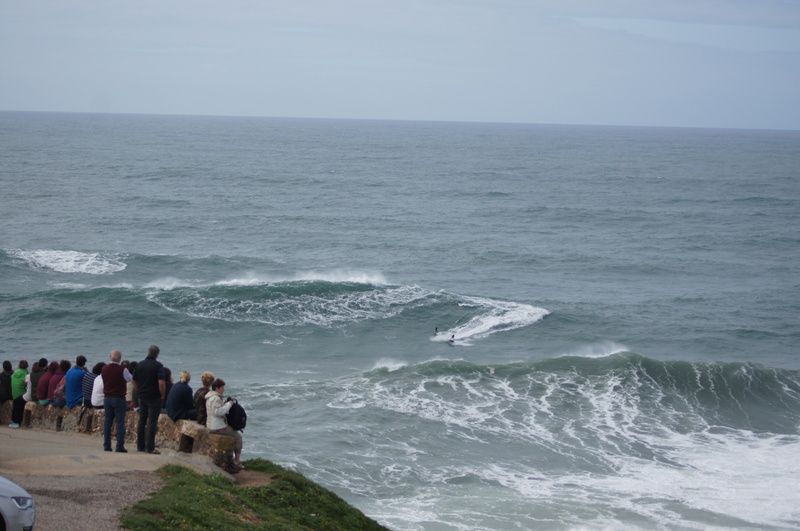 We didn’t really expect it to be working but when we pulled up on the beach front in Nazare and just saw mountains of water moving towards the point, our excitement levels spiked. We found our way up to the point and there it was, massive majestic walls of water slowly crashing onto the cliffs below. It was amazing to see that much power. 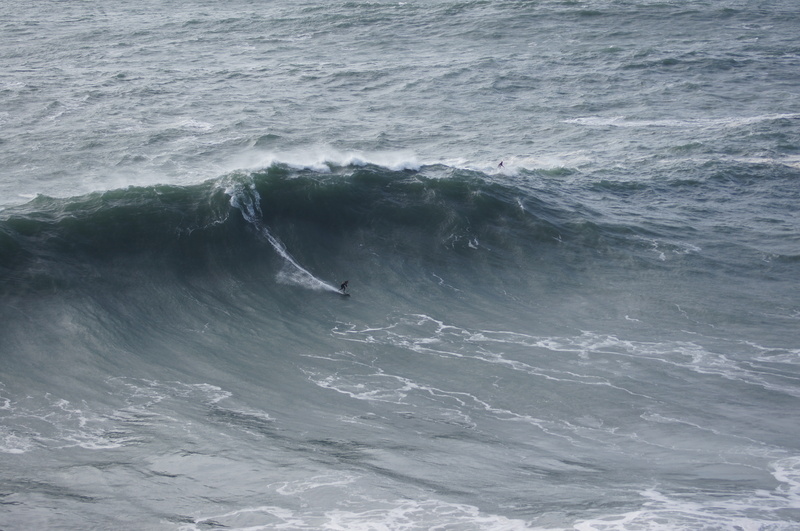 After watching it for an hour or so we headed into Nazare to mooch around, as the kiddies were playing on the playground and Jon was midway through a hotdog, we saw the jet-skis heading to the point. We hustled and made it back to see, who we think was, Sebastian Steudtner starting his tow-in session. We couldn’t believe what we were seeing, as if we were here to witness this. 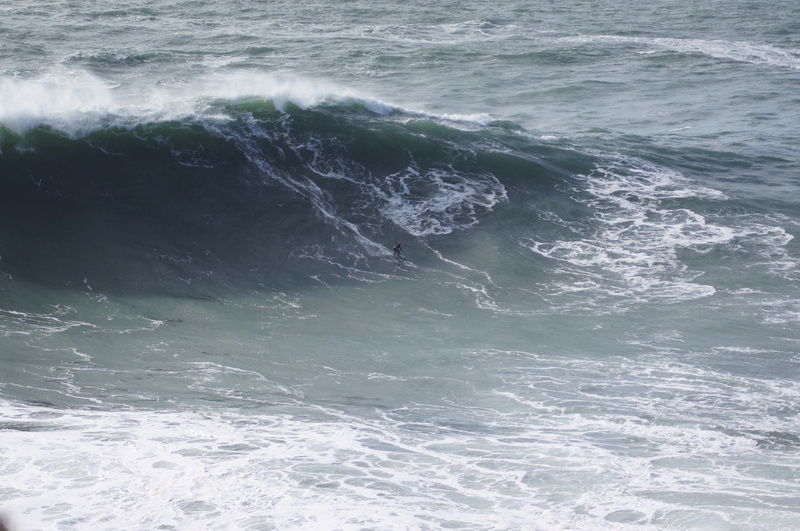 At the end of that session, Garrett McNamara and his team rolled up. We heard him make the call to the harbour to get a couple of skis ready to go, so we weren’t going anywhere. 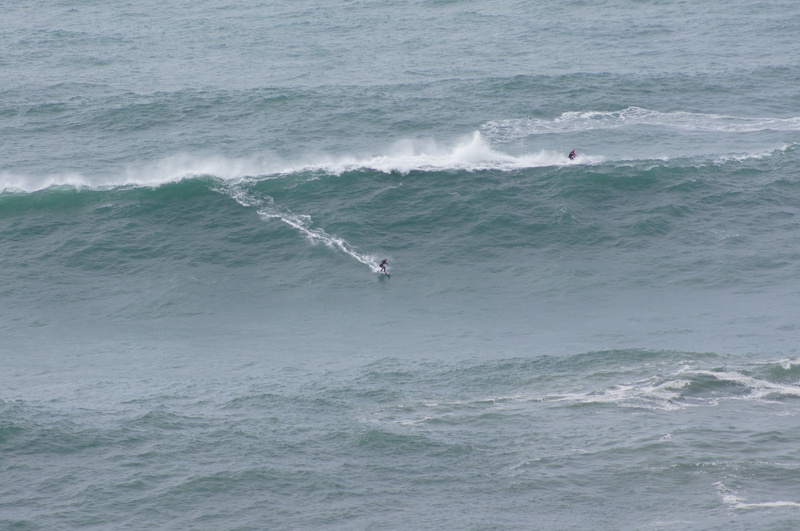 We made ourselves comfortable and settled in for another big wave tow-in session. As if that happens! Its such a small industry… we met a couple from Croyde who are a part of Garrett’s team, who train them and get them in peak physical condition for surfing big waves. Overall it was an epic day. 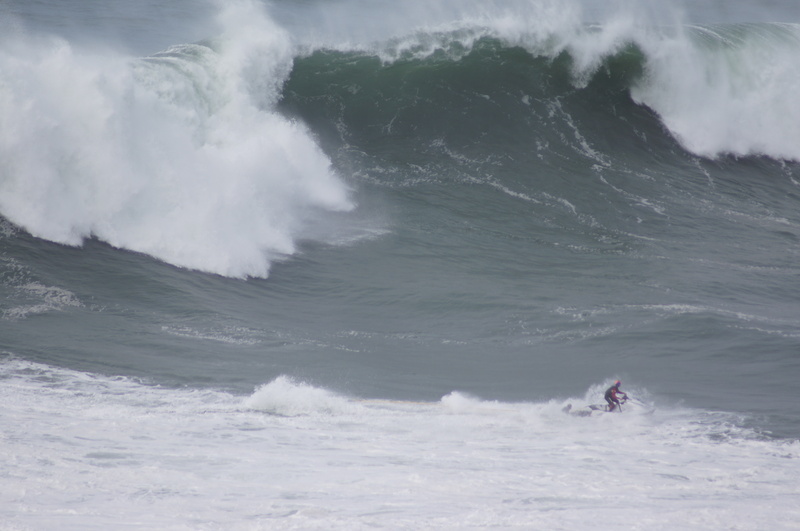 We may never witness big wave tow-in surfing again but we’re sure glad we headed up to Nazare yesterday to be apart of it.